Many people suffer from chronic facial and neck pain as well as headaches. In many cases, this pain stems from a problem associated with the jaw joint known as the Temporomandibular (TM) Joint. You have two TM joints that work together and muscles to allow the jaw to move in three directions – up and down, side-to-side, and forward and back. We take for granted this joint as it gets used daily while speaking, chewing, yawning and laughing. A person that experiences pain in their jaw joint and limitation in jaw movement may be experiencing a Temporomandibular Disorder (TMD). 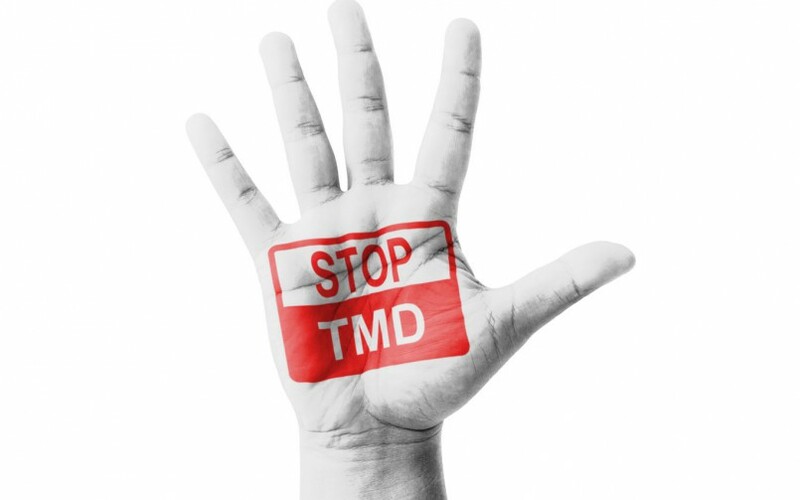 Research shows there are many causes of TMD including autoimmune diseases, infections, jaw injuries, dental procedures, genetics, hormones, and even environmental factors. Common symptoms to look for include a dull, aching pain in the jaw joint area, neck and shoulder pain, jaw muscle stiffness, painful clicking or popping in the jaw joint when opening or closing the mouth, and limited movement or locking of the jaw. For some, this syndrome can be very debilitating. To maintain a healthy jaw joint, we encourage self-care practices such as relaxing your face and avoid clenching your teeth, especially in times of stress. Avoid grinding your teeth, and if you do grind at night, invest in a night guard. I got one made years ago and am reaping the benefits! Avoid chewing gum constantly and chew foods on both sides of your mouth. Practice good posture – keep your head up, back straight and shoulders squared and try not to strain your neck while on the phone by cradling it against your head and shoulder. We know you’re thinking so many old habits to break, but better to make changes than become a TMD statistic. If you suffer from TMD, don’t despair, as there are many available TMJ treatments in Dubai if self-care practices fail, such as splints, mouth guards, occlusal adjustments, injections, TMJ Surgery, and TMJ Implants. If you suffer from any of the mentioned symptoms for more than a few weeks, book an appointment for jaw clicking treatment in Dubai with one of our Specialists at Dr. Joy Dental Clinic in Jumeirah, who are trained in diagnosing and treating mild and periodic TMD cases. Enjoy better dental health today!